Bitcoin is seeing rising adoption across Latin America, but especially in Colombia which is second to only Venezuela. A peer to peer exchange, Localbitcoin, has seen volumes rise in Colombia to now about $3 million a week, with a significant rise beginning in November 2018. Bitcoin volumes in Colombia, March 2019. Some of this rise might be related to Venezuelans in Colombia sending money back home, while freelancers, in addition, might be using bitcoin to make or receive international payments. 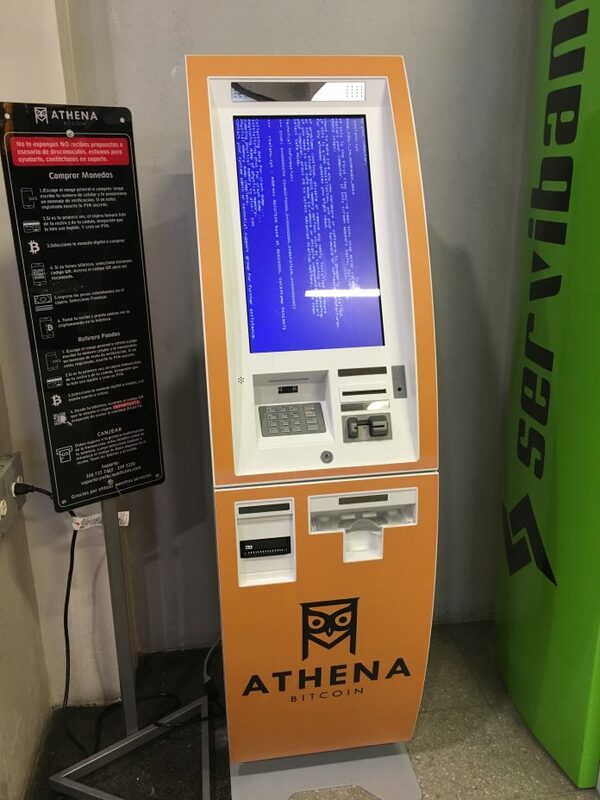 Athena bitcoin ATM in Colombia, March 2019. One such company is Center Source SAS, a Colombia based Outsourcing company for mainly call centre services. Venezuela handles significantly more bitcoin volumes than Colombia, about ₿2,000 a week, but another country showing a rising trend is Peru, an upper income nation of about half a trillion in GDP with a population of circa 30 million. Bitcoin volumes in Peru, March 2019. The volumes here are somewhat low at about 230 bitcoins, but that’s quite a bit more than the far bigger Mexico which is processing ₿100, or Argentina’s ₿53 a week. 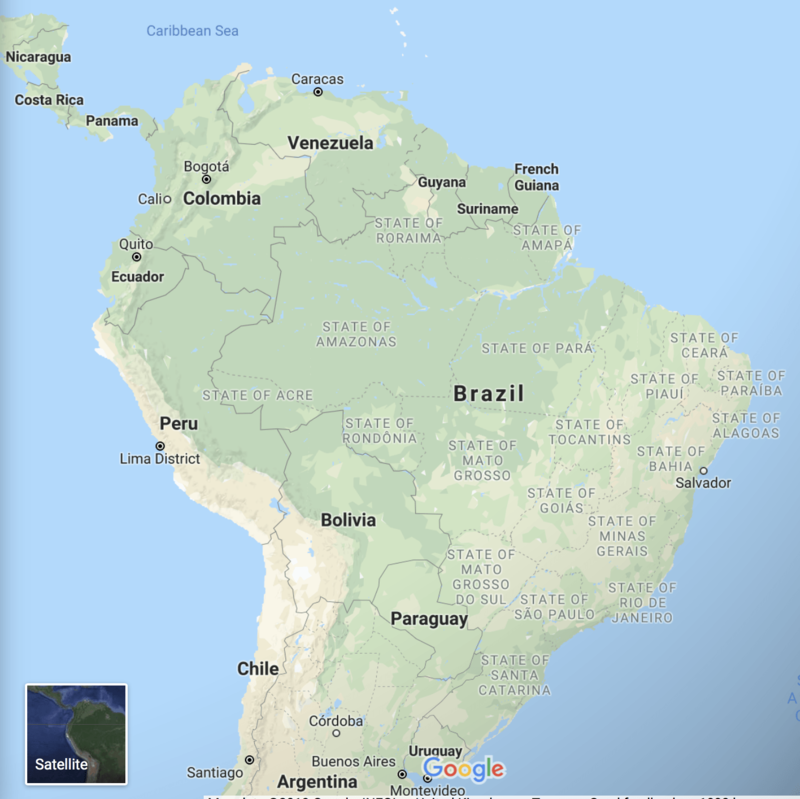 Latin America Map, March 2019. That might be because this is perhaps spreading from Venezuela to their neighbor Colombia, and then to Colombia’s neighbor, Peru. The other Venezuelan neighbor, Brazil, isn’t seeing much traction at just 100 bitcoin. That might be in part perhaps because Brazilians have easily accessible centralized crypto exchanges which might be more convenient for buying and selling. Localbitcoin, however, has its own sort of unique use cases, such as fairly instantly buying or selling btc, rather than waiting for a week for funds to be transferred to an exchange. So if there was traction in Brazil, it might have been reflected on these data. One country where there is considerable traction, far more than USA or the entire European Union, is Russia. Bitcoin volumes in Russia, March 2019. Volumes are down there in bitcoin amounts compared to 2016, but bitcoin’s price in 2016 was 1/10th current price. Meaning fiat bitcoin volumes in Russia have soared with a significant rise in November, presumably because bitcoin’s price was sort of halved in November. That could mean this is actual usage as a payment method or for a purpose other than just holding as it appears quite interesting how volumes doubled as price fell 50% in November. Russians might perhaps find it easier to make international payments or to receive such payments in bitcoin, so bypassing the banking system. Thus Localbitcoin volumes there stood at ₿3,500 ($14 million), more than double that of USA’s and Europe’s circa ₿1,700. Suggesting bitcoin is gaining some real traction in Russia where they recently experienced considerable volatility in the value of their national money.